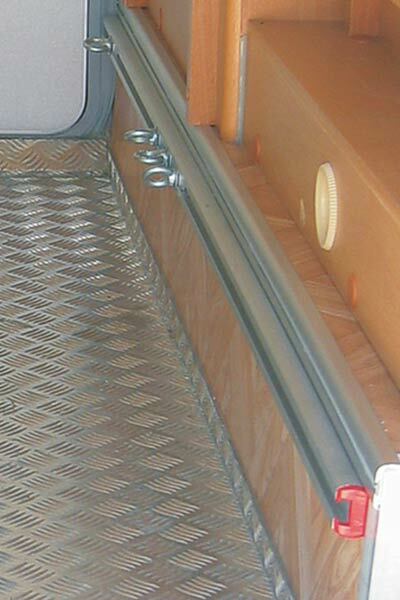 Fiamma Garage Bars have been designed for easy installation to most motorhome garage facilities. Your problem of securing items in the garage is solved. Fiamma Garage-Bars include 2x 200 cm long anodised aluminium bars, which are fixed to the garage walls, each complete with 5 eye sliding hooks and fixing screws. The innovative design of the Garage Bars means they take up very little space. The hooks can be easily placed in the proper seats along the bars. Complete with end caps. 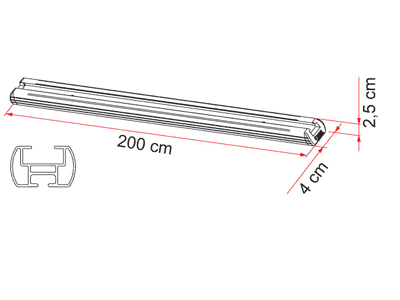 Garage Bars Dimensions: 200 x 4 x 2.5 cm.